This winter has presented folks in my clime with a perpetual blanket of snow that hides most of the welcome signs of an approaching spring. There is one early bloomer, however, that blossoms each February, even as temperatures fall to the single digits as they did last week. 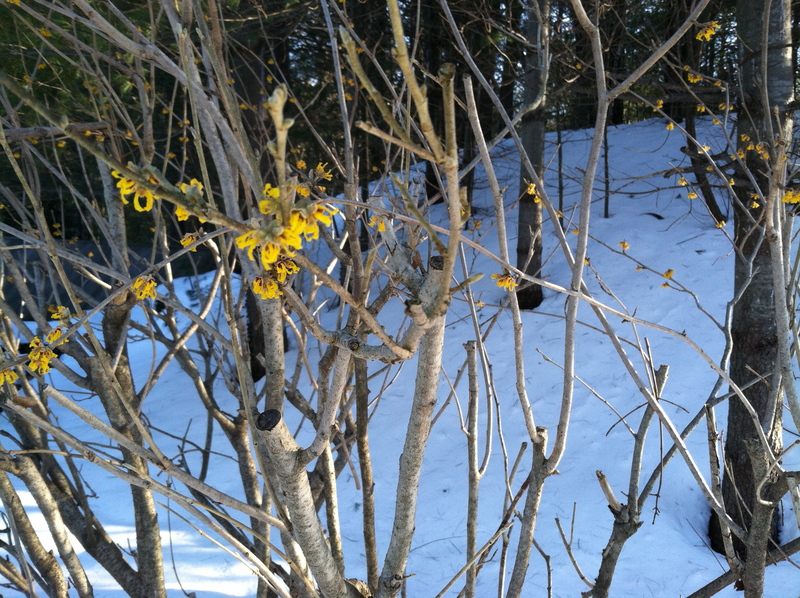 The small yellow and very fragrant flowers of the Witch Hazel bush provide a shred of hope that spring is on its way. Too often the early adopters become the “A-team.” Because they are the first to buy in to new thinking, we overload them with projects rather than leveraging their participation to encourage later adopters. One the best improvement persons I ever worked with, Harvey C., was at first an outspoken skeptic. He had worked as a supervisor for over thirty years and had seen many improvement schemes come and go. Harvey watched the early adopters carefully and kept a journal for several months, recording the results of various JIT experiments that were running in the factory. When he could not disprove the impacts of TPS, Harvey became an incredible leader for change. Skeptics, by definition, are persons who are disinclined to accept ideas without rigorous testing. More so than early adopters, these skeptics are critical thinkers whose actions are guided by science as much as passion. Had I dismissed Harvey’s cautionary behavior, I would have probably lost one of improvement’s strongest allies. I’m grateful for later adopters too. They bring direction and legitimacy to the Lean transformation, creating an environment that favors broader participation. Finally, there are the trailing adopters. Unlike the earlier bloomers, they may require the security of a friendlier climate in order to blossom. They require a bit more “cultivation,” but they are found in large numbers that create a momentum for improvement, sometimes referred to as “culture.” The ideal condition, as we say at GBMP, is “everybody, everyday,” but this is never the starting point for improvement, and it will not occur unless lean leaders respect and nurture every individual according to his or her proclivity to learn and develop. Where is your organization on this seasonal curve? Share a story. BTW: Only 21 days until spring and 68 days until the 25th International Shingo Conference in Provo. I’ll be speaking and hope to see you there. This entry was posted in Old Lean Dude and tagged bruce hamilton, continuous improvement, Everybody Everyday, GBMP, kaizen, lean in healthcare, lean manufacturing, operational excellence, shingo prize, Toast Kaizen on February 26, 2013 by GBMP.